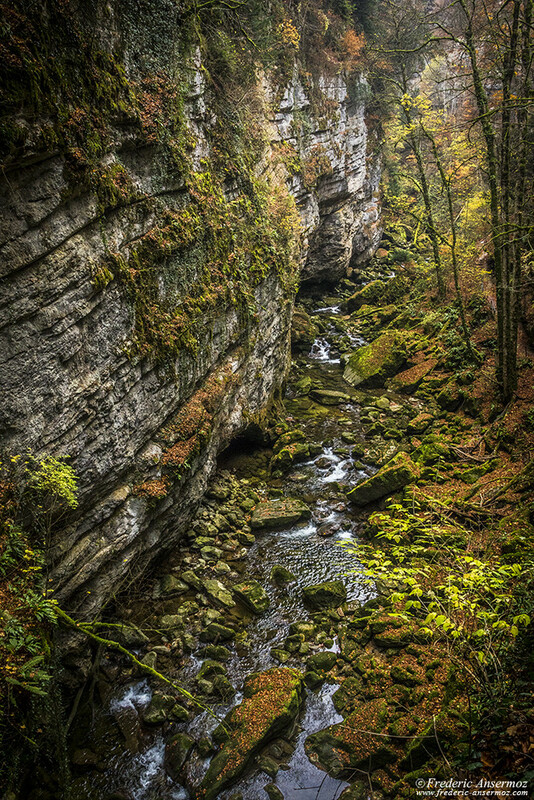 The Areuse Gorges (Gorges de l’Areuse in French) are located in the canton of Neuchâtel in Switzerland. 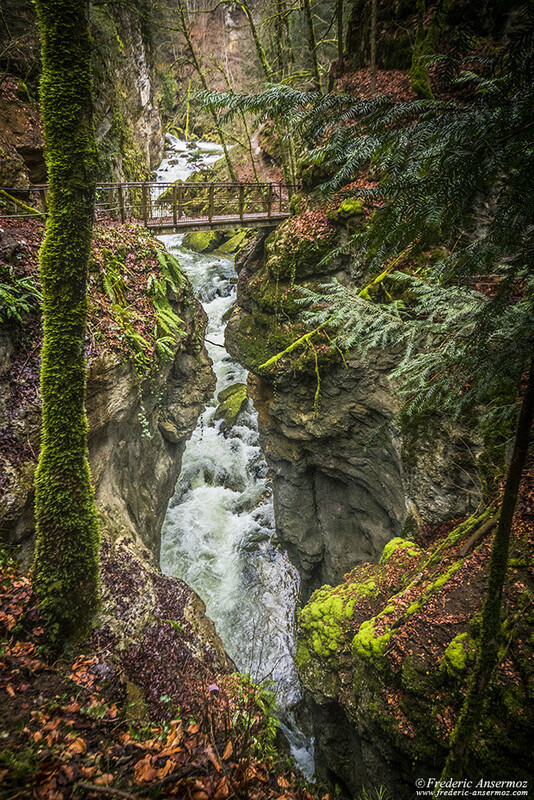 Hiking on the trails along the Areuse River is relatively easy, and it is a beautiful walk in a surprising scenery. 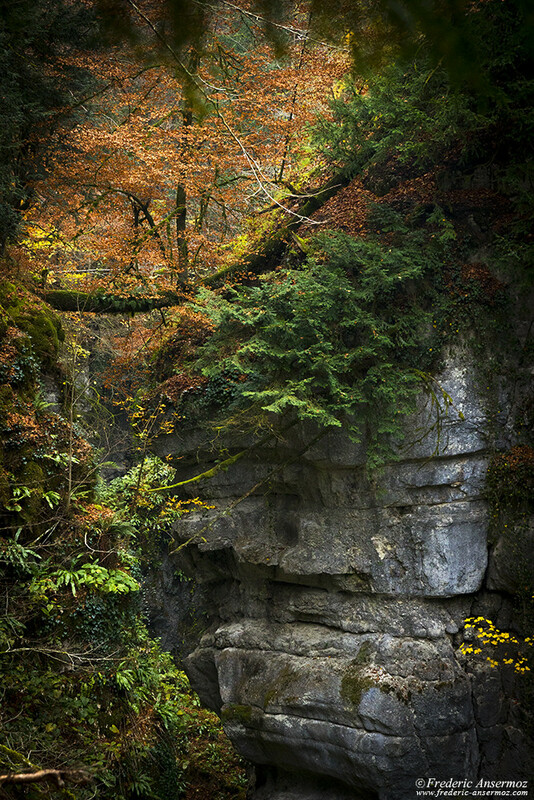 The Areuse takes its source from St-Sulpice and crosses the Val de Travers. 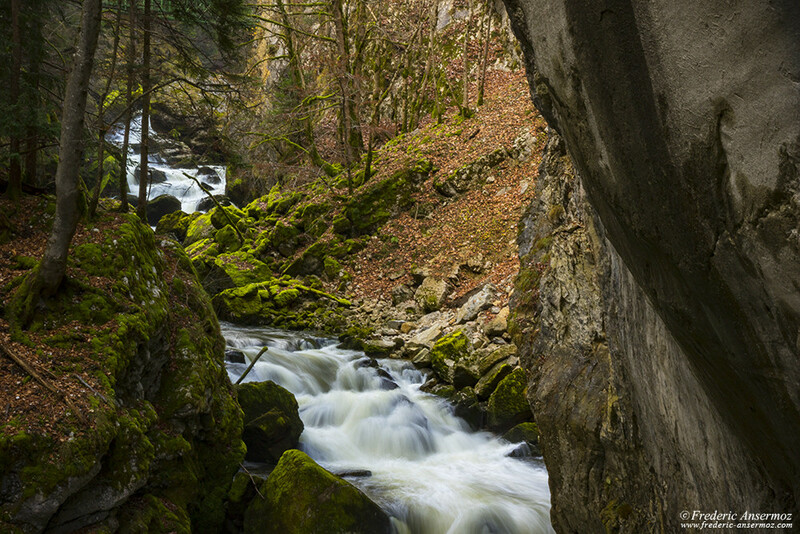 From the Champ-du-Moulin, the river rushes into magnificent gorges (The Gorges de l’Areuse) before reaching the town of Boudry, and then finally flows in Neuchâtel Lake. 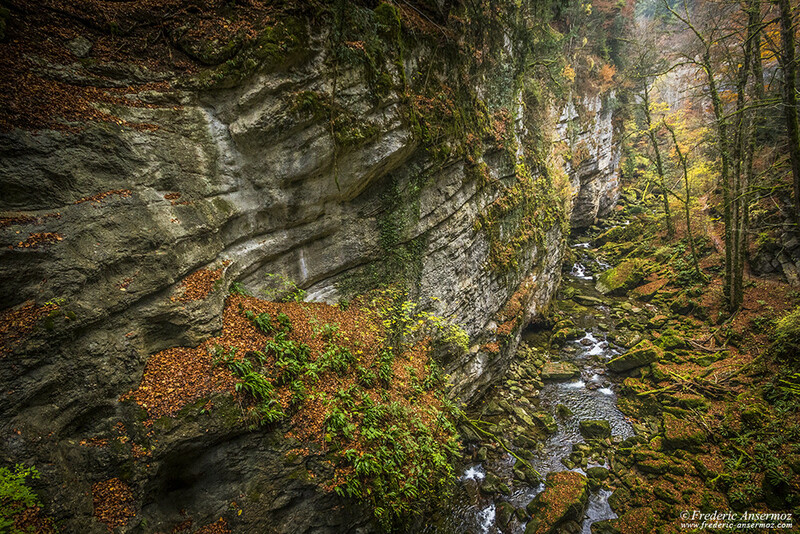 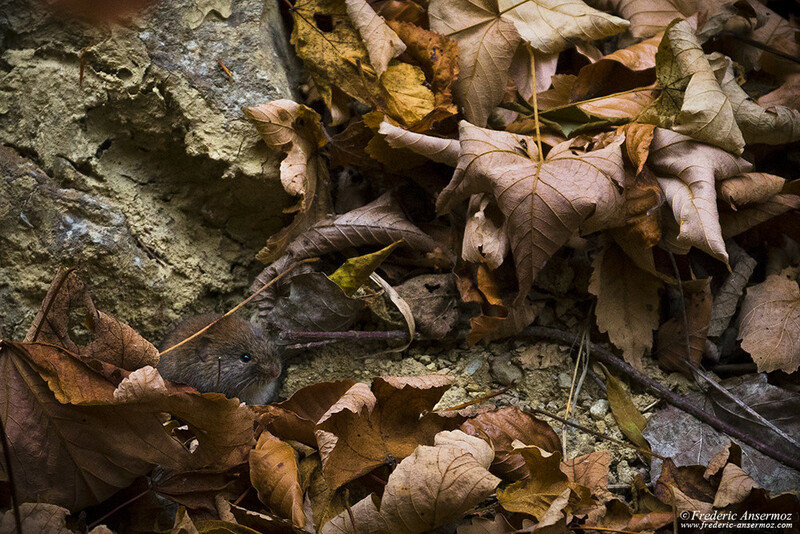 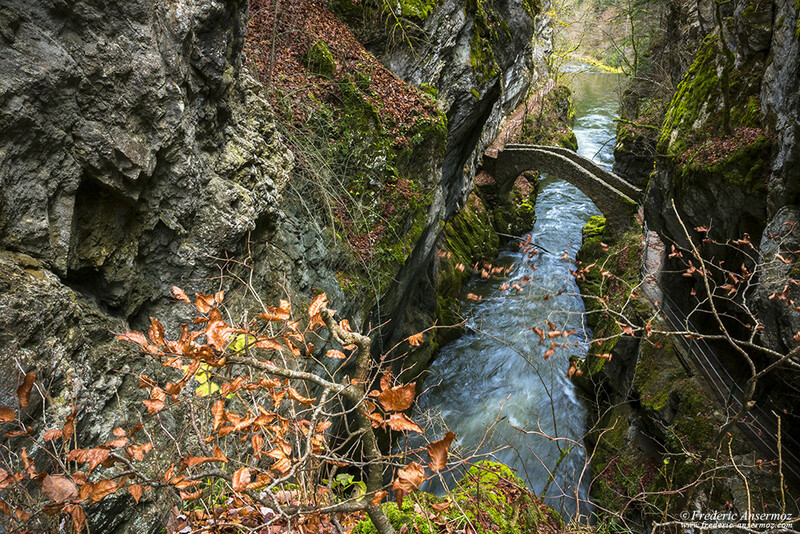 The photos of the gorges were taken during different days, mainly in Autumn. 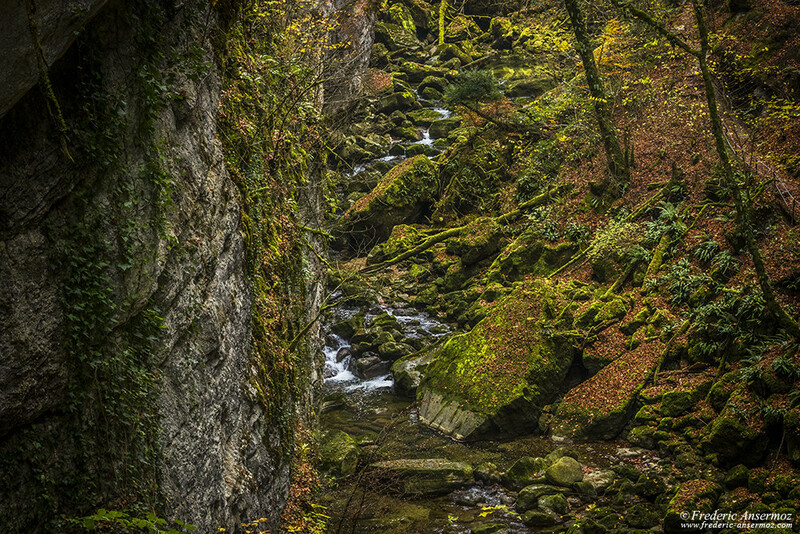 Some hinking along the Areuse river up from Boudry, and another down from Noiraigue, through the Saut de Brot and its waterfalls. 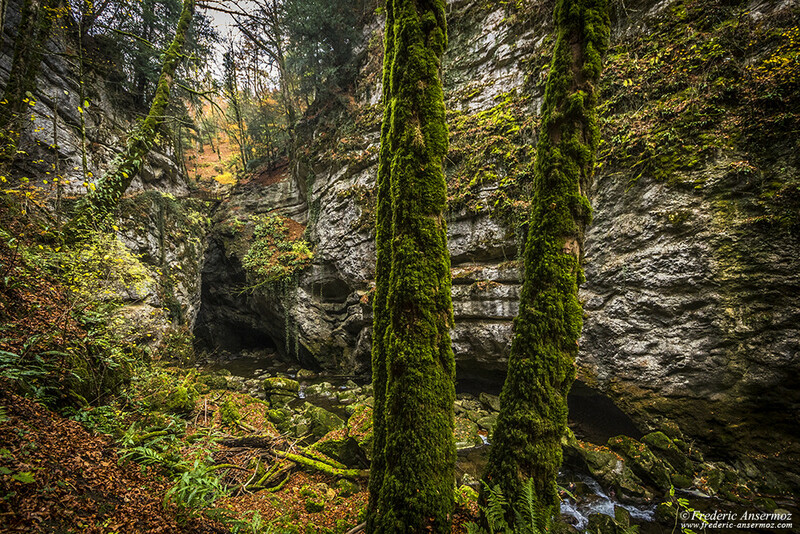 Very humid, the steep-sided area offers a very green and abundant vegetation. 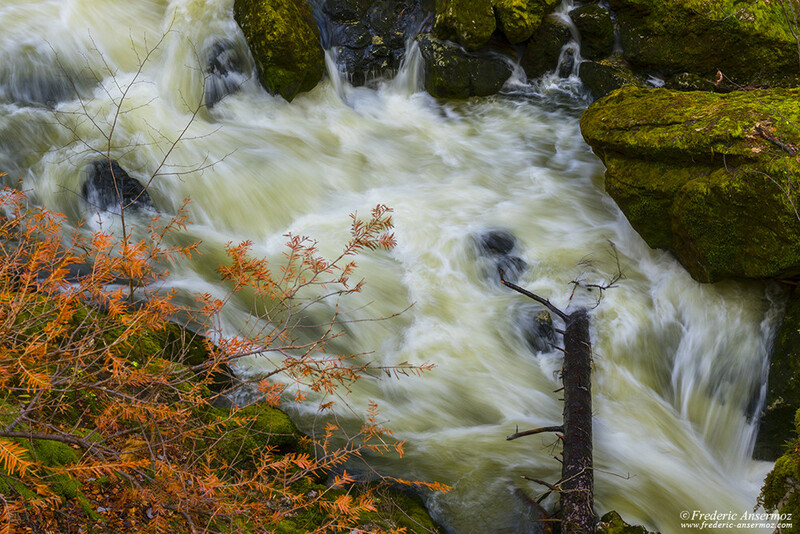 A lot of moss, which contrasts with the fall colors of the fallen leaves. 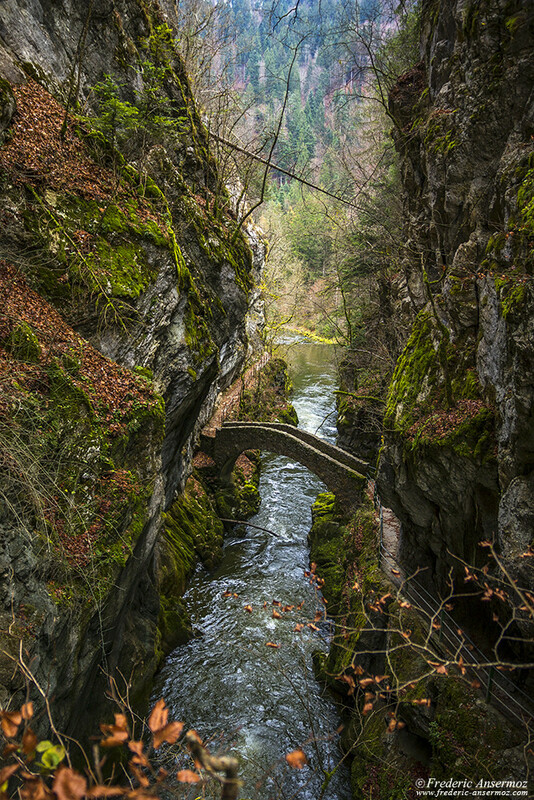 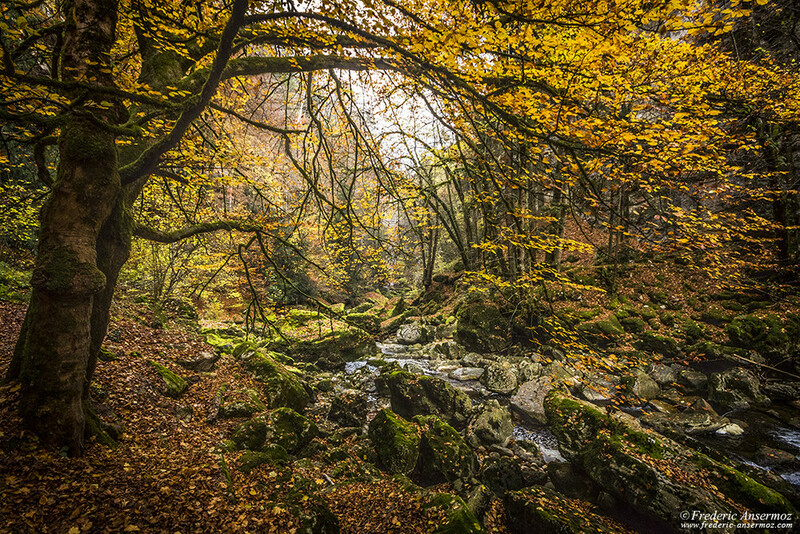 I hope that you will like my photos below, and that they will motivate you to hike in the canton of Neuchâtel in Switzerland, maybe to discover the Gorges de l’Areuse.